With the recent government shutdown, a startling statistic has been stated over and over: 77% of Americans live paycheck to paycheck. Living paycheck to paycheck has a ripple effect that causes people to miss out on opportunities and contributes to a negative mindset on money. It also highlights the need to live within one’s means. Despite depictions in the media, one thing that rich people (who manage to stay rich) have in common is that they live within their means. Obviously it is easier to live within your means when you have more money, but those who amass wealth tend to live within their means before becoming rich. Limiting debt ad not overspending are key to building wealth. Here are some key ideas to help you along the way. Are you paying for services you don’t need? : Look at your recurring services. Are you paying for television channels you don’t watch? Do you have a landline you no longer need? Eliminate charges for unneeded services. Comparison shop: Look at different providers. Get better phone rates or packages that only include what you need. Cut the cable and switch to lower cost streaming services like Sling, Hulu, Netflix or YouTube. Look at different food stores for better prices. A short drive may save considerable amounts of money. Don’t dismiss store brands and generics. Ask if you really need something before buying: If you don’t really need it, hold off on the purchase. If you have to put something on a credit card, hold off until you have the cash to pay for it. Cook: Cooking meals at home can save a lot of money over takeout and restaurants. If you know how to cook and comparison shop you can make delicious, healthy meals for less than fast food. 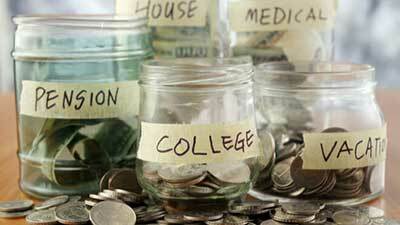 Even if you save only a few dollars each month, those dollars can pay down debt, saved or invested. Even small steps can go a long way.